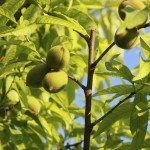 What is the best way to treat a peach tree that seems to have some fungus? See pic. It has had peach tree curl, we treated that but now it's something different. Help! These leaves still appear as Peach Tree Curl.